With the recent announcement of the fourth upcoming entry, Jurassic World which comes out in 2015, it seems to be most timely to cover this excellent trilogy’s box set. 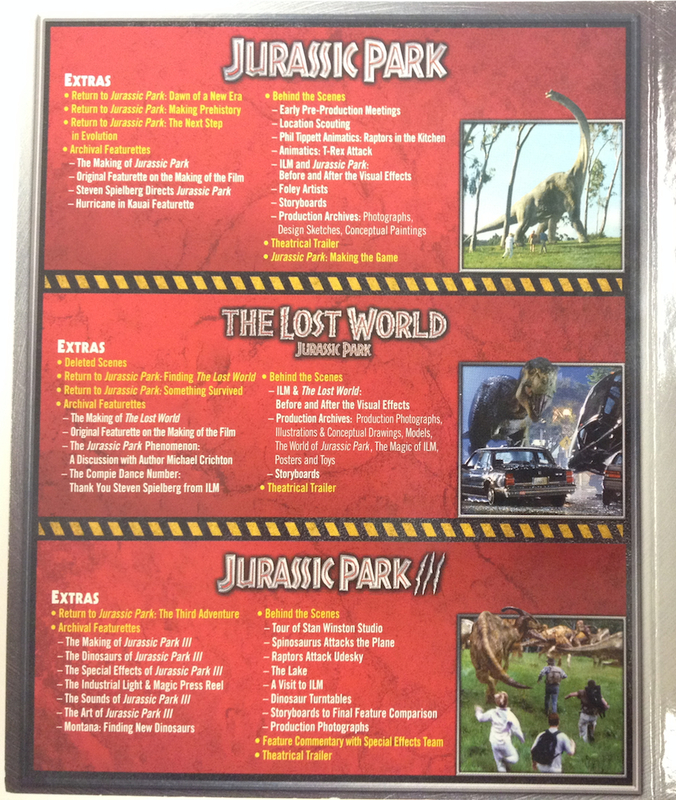 This set came out in 2011 in two editions: a blu ray box set and a limited edition with a T-Rex mini statue. I had to settle for the first. Like most movie nerds my age, I feel that Jurassic Park is a staple of american cinema and one of my favorites growing up and still is to this day. When this trilogy was released, I got so excited that I made sure to get the day off from work and I spent the day watching all three back to back to back. So now we ask, does the blu ray remastering make that much of a difference compared to with its DVD counterpart? For those eagle-eyed readers, I mentioned my brief thoughts on what I think about the presentation of Jurassic Park in my Alien Anthology review. Now that I am writing the full review, I can tell you that it’s one of the best remastered movies I’ve ever seen. The picture is crisp, dynamic, and clear when it needs it and the sound is PERFECT. The skin tones look very natural and not faded since this was shot on film. I never saw any artifacts or clipped colors, and the night scenes were very soft and not too dark. What impressed me the most are the special effects. With this remastered edition, this movie DOES NOT show its age; in fact, it looks like a movie that was made only years ago, rather than 20 YEARS AGO. The greenery of Isla Nublar (the fictitious island where the movie takes place) is stunning and very rich in texture and color. The improvement in picture quality of the remastered edition compared to the VHS I grew up with is so incredible that it’s almost like I’ve been watching a different movie this whole time. Although I have a 5.1 surround sound setup, this film was mastered in 7.1 DTS-HD Master Audio that takes full advantage of all speakers. For example, during the opening scene with the Velociraptor in the crate, an ambiance of jungle sounds and wind whipping is mixed excellently for the satellite speakers, and the speech coming out of the front speakers is as clear as a bell. During this opening scene, the Raptor has two bone-chilling sound effects that are amplified exponentially with the remastered audio. The first moment is when you hear that high pitched howling cry. The sound is so clear and so well amplified, that (almost) all the speakers were active to produce that shriek. The second is the moment when you hear the Raptor purr for the first time, and man, the speakers and subwoofer mix it so well that I got goosebumps. Oh, and that Tyrannosaurus Rex roar, after he beats up the Jeep shakes the floor. There’s a reason they market the audio as mastered, because with this release, it truly is. Compared to the sound from the VHS, it’s so vastly different; it’s like the comparison to cheap $15 headphones and a pair of Bang & Olufsen headphones. Lastly and certainly NOT least is John Williams unforgettable score. It’s…just…so perfect that I can’t describe it any other way. It takes a commanding presence of your speakers when the various movements reach their crescendo, it plays subtly in the background and does not overpower when there are lines of dialogue or roaring dinosaurs on screen. One quick tangent before I jump into the review: I unabashedly love The Lost World. I’ve had so many conversations about this movie with people who don’t like it and I don’t get it. I know it’s not as good as its predecessor, but it’s definitely a worthy successor to Jurassic Park. It’s a great chapter in this epic trilogy. Now, onto the presentation. The picture is top notch, but not as high as Jurassic Park. The color palate is very cool, compared to the movie which was much warmer. There aren’t many scenes that have a dynamic range but that’s not necessarily a bad thing. Sometimes the blue palate takes over, when I think there should be more range in color. The skin tones are well maintained and look natural in every environment, especially at night both on the island and in the streets of San Diego. When it comes to the special effects, Spielberg’s amazing team with Stan Winstons’ animatronics and ILM’s CGI creatures still hold up today and maintain the illusion of real or life-like dinosaurs. 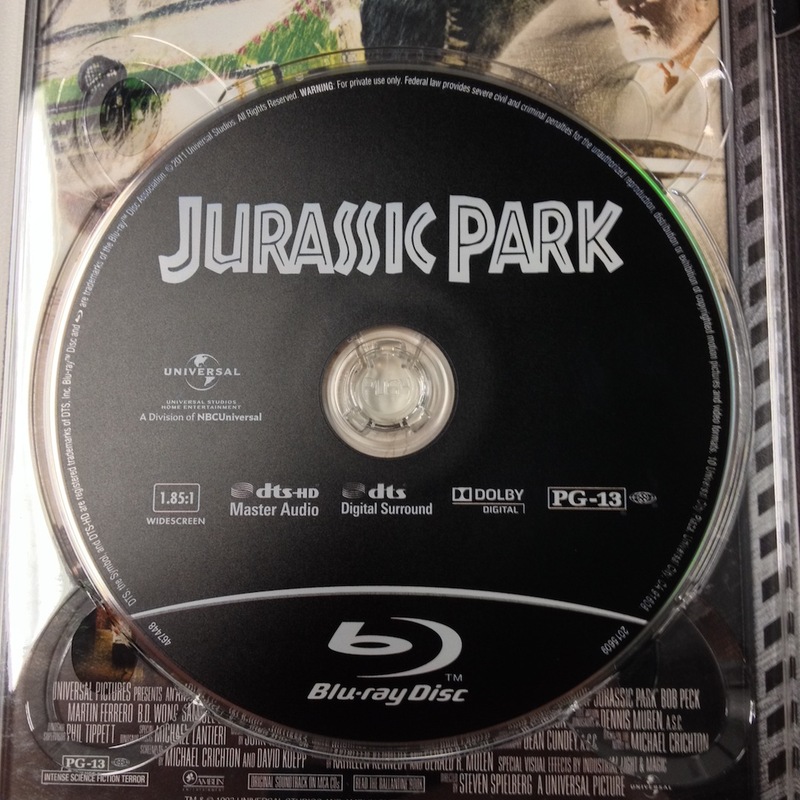 The audio quality is excellent, on par with Jurassic Park. My favorite example takes place about halfway through the movie, when In-Gen has invaded Isla Sorna and is rounding up the dinosaurs as they’re fleeing away from the onslaught of vehicles and mercenaries trying to round them up. From the orchestral soundtrack to the sounds of motorcycles, off-road cars, and dinosaurs, it is clear and easy to hear, which is an impressive feat considering how much is happening during this scene. Although John Williams’ score takes a backseat when it comes to notable themes and familiar tracks, it plays through clearly and expertly. One of the best examples I found was with the scene of the Raptors hunting down and picking off the In-Gen crew one by one in the open field. It’s well accompanied with the tension and helps maintain the suspense of the moment as each human disappears into the grass until they notice what’s happening and the scene ramps up as the Raptors go in for the kill. Say what you will about this movie, but I really enjoy it. Sure, the Jurassic Park trilogy has diminishing returns with each film, but they’re still fun to watch and have an interesting story each time. I love seeing Dr. Alan Grant and Ellie back on screen and the dinosaurs never looked better. It’s a shame that this time around, the story wasn’t as strong as the others. The picture is at its highest quality and the sound is great, but since this is a more modern movie, it’s expected and doesn’t really “wow” like Jurassic Park does. The picture is clear and the color palate has much better range than both of the previous films. Joe Johnston is a very competent director and has a very good eye for the action-based scenes as well as some of the calmer scenes. 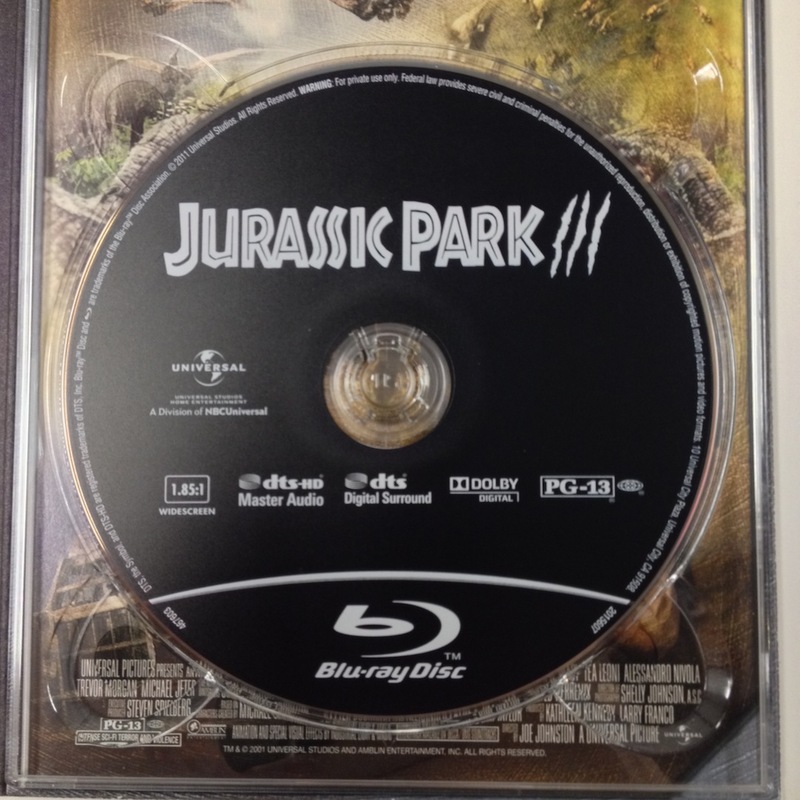 Now Jurassic Park III has the advantage of better technology for shooting as well as special effects and the blu ray remastering definitely improves the look of the dinosaur,s and considering this movie is 12 years old, it holds up really well to today’s standards. 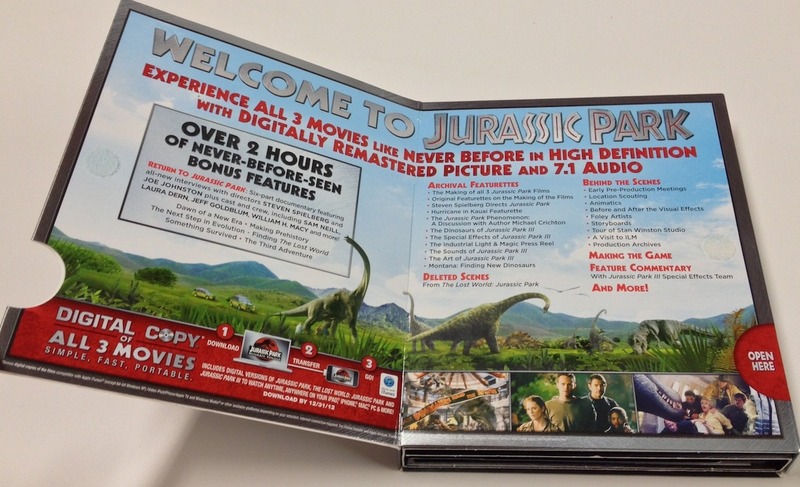 The majority of special features are the exact same from the previous DVD trilogy box set that was released in 2001, the same year Jurassic Park III came out. The box does add over 2 hours of new interviews from many of the main cast members, the producers and the two directors, Spielberg and Johnston. What I really appreciated the most, were the interviews with animatronics master Stan Winston and seeing behind the scenes of the magic his team created to make those dinosaurs feel real. On top of that, any special feature about Industrial Light & Magic (ILM) will ALWAYS captivate me since I have such a love for that company. Although I am very grateful to hear about the experience from the important people from the trilogy, I expected more. I have read once that not a lot of behind-the-scenes footage was shot because that’s just how Spielberg works, to keep his technique as much of a mystery as possible, and I can respect him for that, even though I love watching featurettes, behind-the-scenes, and making-of documentaries for my favorite movies. This is a fantastic set. 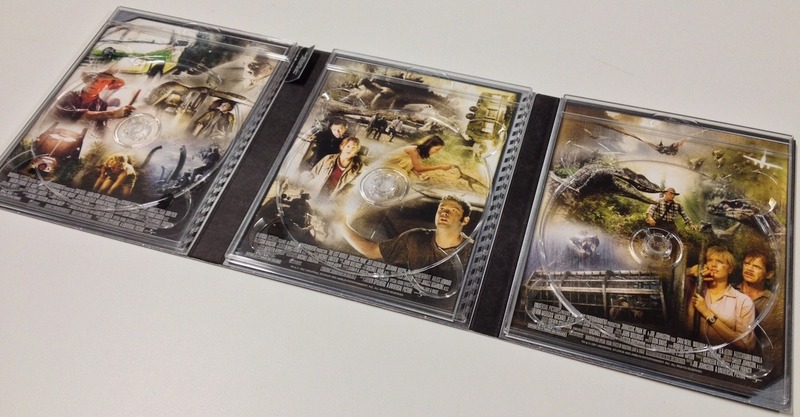 It puts the 12 year old DVD box set to shame when it comes to the presentation of the movies. Secondly, the inclusion of an iTunes digital copy for all 3 movies was a great and welcome addition, especially since each movie has some of the same special features available to watch; my only gripe about the digital copies is that the movies are in standard definition, not HD. Even still, I can’t get enough of watching these movies over and over again, and never did I realize, until recently, that all three films are like a theatrical advertisements for Hawaii since that’s where all three were shot, but does Hawaii really ever need publicity? These are a treasured set in my collection and I can’t recommend this enough, even if the 2nd and 3rd films aren’t as good as the first. The month of Mel Brooksuary continues with The Nerds welcoming special guest Roxi Nobari to talk about Mel Brooks’ masterpiece Young Frankenstein. Click here if the media player doesn’t load. The links above are affiliate links. If you click either link and buy from Amazon, you’ll be helping us out with a small commission. The phenomena of the Creature Feature was around before it even had a name. Listen to how it started, how it has evolved and hear The Nerds discuss notable releases as well as their favorites. Click here if the player has trouble loading. While dissecting A Christmas Story, The Nerds get a visit from Nerds on History’s own Eric Bricmont whose mid episode tangent may very well be a cinema goldmine. The 5 Summer Movies That I AM DYING TO SEE! Note: This article contains explicit language. CLICK HERE TO WATCH TRAILER! “Only number 5! ?” cries every nerd worldwide. Yes, just number 5 but it’s a short list. Abrams’ Star Trek reboot in 2009 was, to be cliched as hell, A REVELATION! It was so good, I saw it five times in the theaters, then bought the Blu-Ray on release day. I can never get enough of it. It is truly a sci-fi masterpiece. Send Us Stuff or Leave Us A Voicemail! This number is for business calls only.